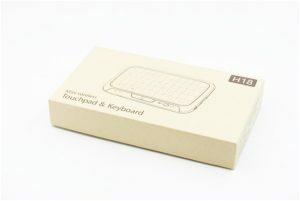 Full touchpad Apple Mini keyboard is high-end and user-friendly, but it is so expensive that few people can afford. 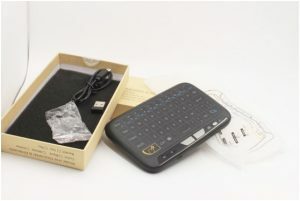 About cost-effective and price-friendly Mini keyboard, there is only full touchpad H18 Mini keyboard left. H18 smart remote control has enjoyed a high reputation at present. 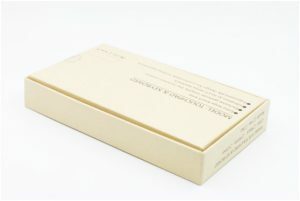 The cover type is used in the reverse side of the package. H18 is rectangular. This ratio is closer to the size of the palm. H18 build-in data cable.Open and you will find that it uses a translucent frosted plastic package. The product is also with matte texture. 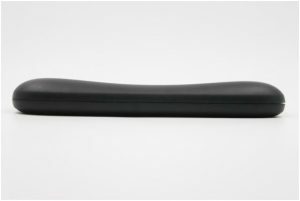 The size of H18 is 143*89.5*18.5mm. 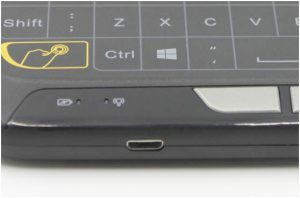 The thickness is obviously thin because of the built-in lithium battery in H18. The back of H18 uses engineering design. There is a slight radian in the middle of H18 in order to better fit the strength of the palm. 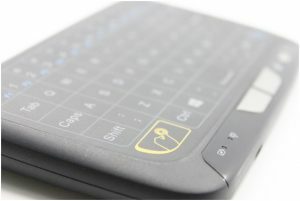 In addition to some of the shortcut features on the edge, the others are touch operations, because it uses the full touchpad model. Charge Jack, plug the cable into this interface and you can recharge it. Mouse left and right function keys are two big buttons in the middle of H18. The small silver button on the right is the lock key. After you press, it will be locked, but you will have a vibration error if you do it again. There is a finger mark on the lower left. You can use it as a mouse. 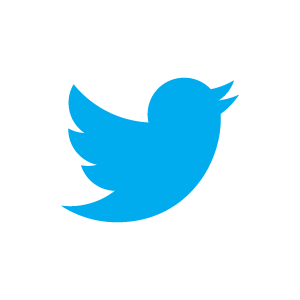 Point two is a double-click and point one is click function. 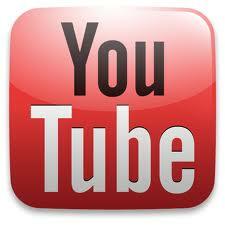 The F123 key in the lower right corner is the function of a mouse button to rotate or stroke. 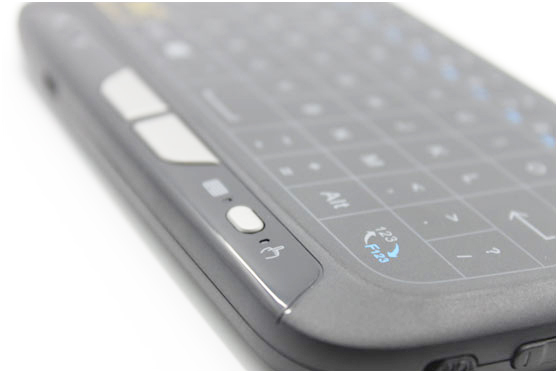 H18 opens the big time for wireless touchpad keyboards. 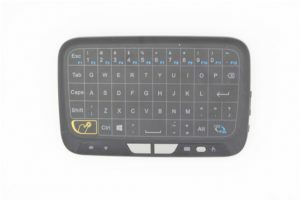 It is compatible with WIN10 touch gestures and simplifies common operating functions. It uniquely creates using gestures function. Randomly drag the mouse, display the desktop, switch task windows, and full-screen touch mode. 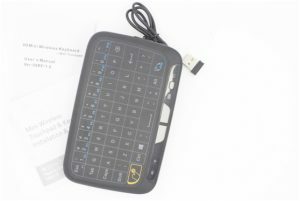 With USB receiver plug and play, it can be said that this touch version of the smart Mini keyboard will be a new operation input attachment.